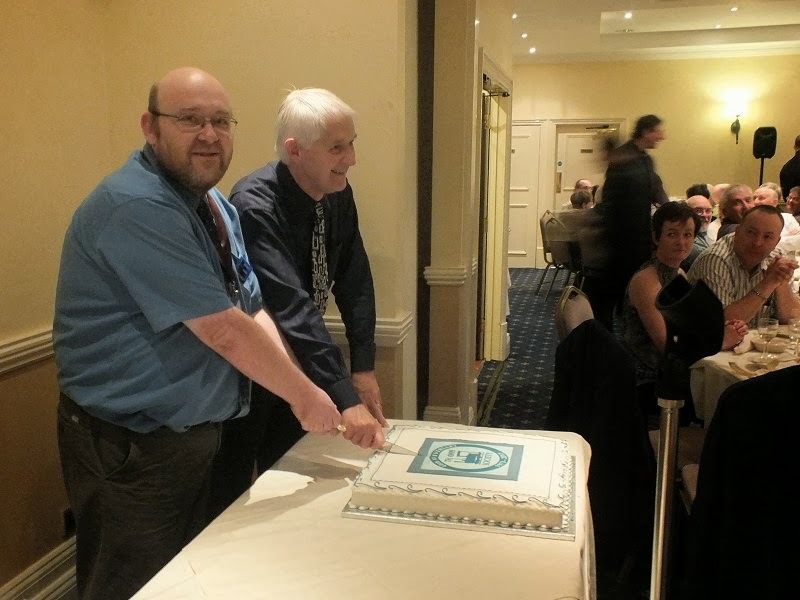 2 years ago Brian Guilmant started to plan his vision for the 009 Society to host a weekend convention to mark the 40th anniversary of the Society in 2013. A suitable centrally located venue was found at the Best Western Premier Yew Lodge Hotel and Conference Centre in Kegworth, 2 miles from the East Midlands Airport near Loughborough. Like “topsy” it just “growed” from an original estimate of about 50 members attending to having the whole hotel given over exclusively to the Society and another hotel 100 yards up the road providing overflow accommodation as well. 200 stayed the weekend and attended the dinner and over 300 signed in as visitors between Friday afternoon and Sunday morning. Although conventions are not unique, there has certainly never been an event of this nature before in the 40 years history of the 009 Society and what a resounding success it was! Originally it was planned to invite a maximum of 8 layouts, due to space restrictions and having to pack the room up for the Saturday dinner. However, when the number of booking applications resulted in the whole hotel being given over exclusively to the Society, the invited layouts grew to 21, some staying the whole weekend and some just for Saturday. 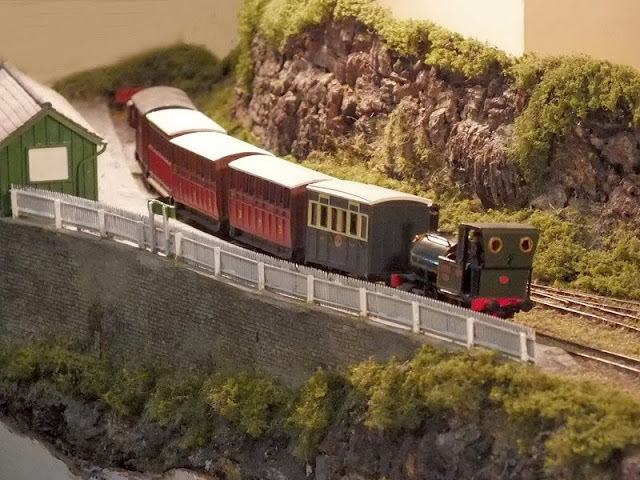 Sunday morning was declared as “open house, bring anything you want” and another 15 layouts, ranging in size from Michael Campbell’s trophy winning shoebox layout Southon Yard to Roger Bugg’s 10ft x 10ft home based layout depicting the whole of the Talyllyn Railway just “turned up”. 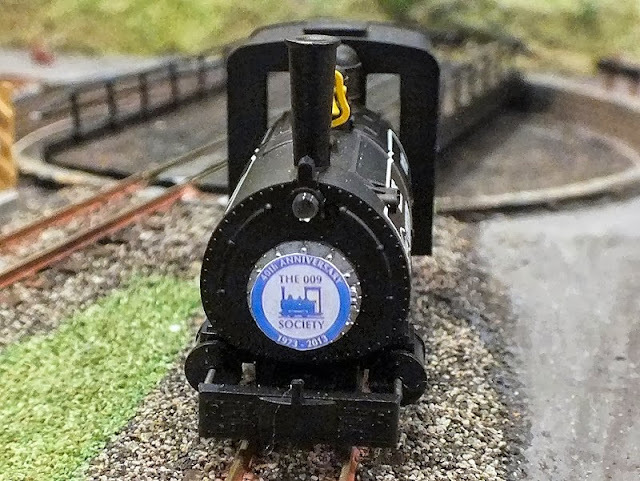 Added to all that was a continuous round of both planned and ad hoc clinics covering many aspects of railway modelling running from Friday evening through to Sunday lunchtime with breaks only for sleep, food and the Saturday dinner night! Specialist Traders and 009 Society Sales were in operation until 11pm on the Friday and on both Saturday and Sunday were up and running from 8 in the morning. All this for a £5 weekend convention fee! You don’t get that at Warley! I tried my best to take photos covering as much of the weekend activities as I could. This was indeed a mammoth challenge and I failed quite miserably with some of the Saturday only layouts as by the time I got to the room where they were late on Saturday afternoon, they were all packing up the room ready for the grand dinner night, but I did manage to get at least one photo of all layouts present – I think! Sincere apologies to any that were missed – must try harder next time – 45th or 50th anniversary? Some people would like it to happen every year now they’ve been to one! Because of the mammoth size of this event and some really special photo opportunities arising, which you will see in the photos, I have had to split this into instalments. Simply click on the links shown in the usual way to be taken to the different photo album instalments. If you didn’t attend, I hope this provides a reasonably comprehensive illustrated record of what was a fantastic 48 hour event. If you did attend, I hope it gives you a souvenir and hopefully a reminder of what went on – although I am certain that many will have seen a lot of aspects that I didn’t! Part 1 starts us off with a selection of general snaps around the different rooms, some people that got trapped in my lens, a quick tour around some of the many clinics just to get some of the flavour, a mercifully short selection of murky photos taken during the Saturday evening grand dinner and the Minitrains competition entries Then as a prelude to the “main event” ie the models, we at last get to see at least a glimpse of the Saturday layouts and some of the models and Heritage Collection models in the display cabinets. Part 2 concentrates on the layouts that were brought along for the informal and largely ad hoc Sunday morning session. In some ways this was the best part of the weekend. Wherever you went there were layouts, from micro to large, that just sort of “turned up” and were set up basically anywhere there was a convenient space and a plug. I’m sure there was some furious organisational paddling going on just beneath the surface but above it everything ran like a well oiled machine, everyone that I saw was enjoying themselves immensely, new friends were being made, the sun was shining outside for interludes on the terrace and all in all, it was about the best Sunday morning I can remember having anytime, anywhere! Part 3 includes most of the layouts that were present for the whole weekend. A superb variety of layout sizes, styles and vintages ranging from a tiny layout on its first live showing in the UK to several iconic layouts that have been regularly exhibited for up to nearly 40 years. 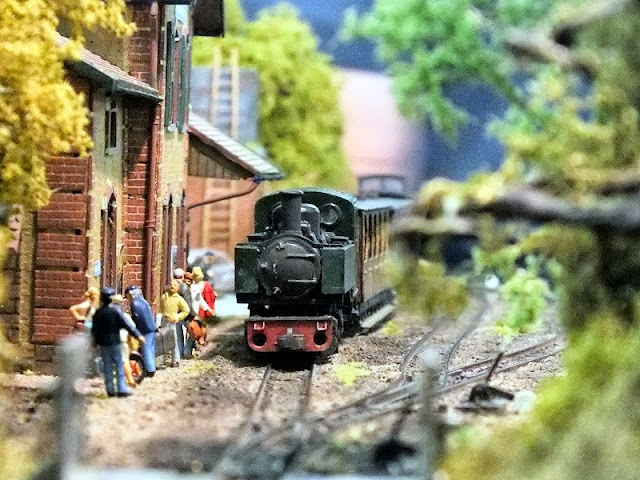 Within this box of delights are included a couple of past Railway and Continental Modeller “Railways of the Month”, a forthcoming one (see the December 2013 issue of RM out next month!) and a number of highly acclaimed award winners. A truly splendid cornucopia of 009 modelling excellence indeed! 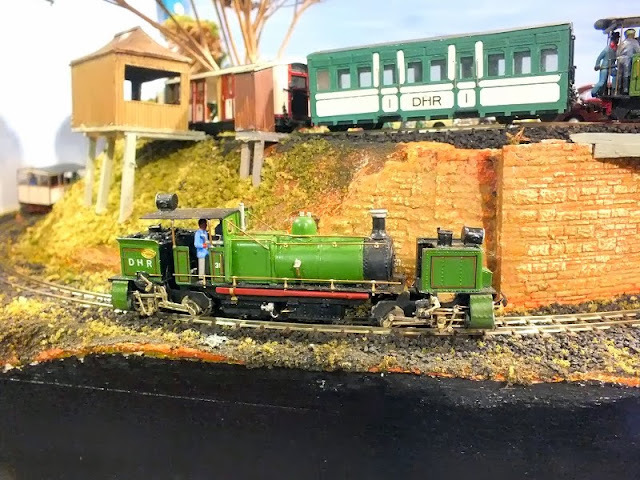 In the 1950’s there was only one narrow gauge layout regularly published, the Craig & Mertonford Railway, the late Philip (PD) Hancock’s masterpiece, that appeared in articles in MRN initially, from November 1950 and then in RM regularly right through the 1950’s into the early 60’s and then at irregular intervals right up to February 1993. Many will have read opening paragraphs to layout descriptions that listed PDH and the CMR as their inspiration to take up ng modelling. 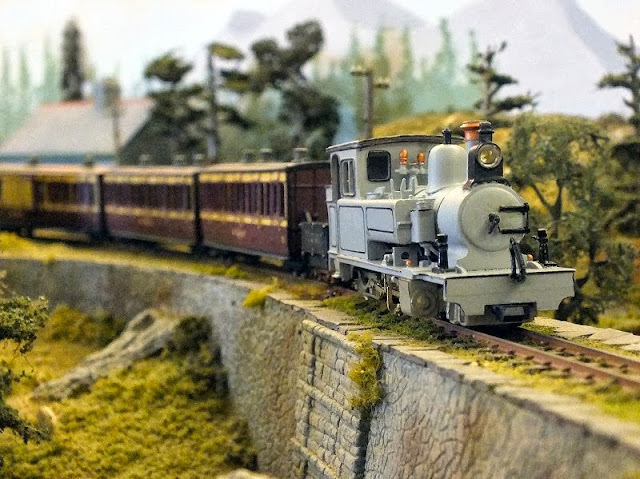 Most of the original CMR was broken up but one part, Dundreich, survived and Malcolm MacLeod, with the support of the Edinburgh & Lothians MRC that now owns it, has painstakingly worked to restore it and managed to borrow much of the surviving CMR NG stock from the current owner, Lee Marsh just for the Convention. Dundreich at the Convention was a very special event indeed. For me, it was by far the highlight.of what was already a very special event. Well, that has been my impressions of what was a truly memorable weekend. 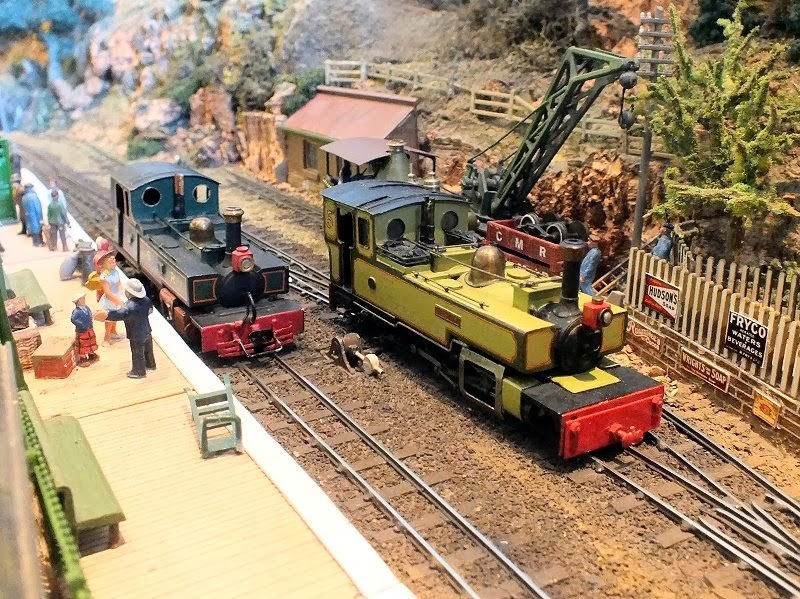 I hope that the 4 parts of my report have provided a reasonable record illustrating the atmosphere of the event and the variety of models and layouts that were there to be seen and enjoyed. We must all do it again sometime - but perhaps not every weekend or even every month!